SAD CHOCOLATE-BASED REPORTS emerging this morning. 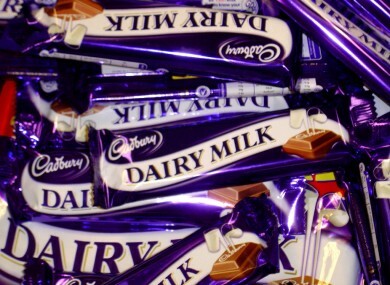 British-made Cadbury products will no longer be sold in the States. According to the New York Times, favourites such as the Dairy Milk, Flake and Curly Wurly will no longer be sold overseas due to an importer’s settlement with the Hershey’s Company–Let’s Buy British Imports have agreed to stop importing the chocolates. But it’s not only Cadbury that is lost, KitKats, Yorkies and Toffee Crisps will also fail to make it across the pond. Hershey’s Co. argued that Yorkies infringe on York peppermint patties, and Toffee Crisps’ packaging too closely resemble Reese’s Peanut butter products. A representative for Hershey’s, Jeff Beckham, told the Times that such imports were ‘not intended for sale’ in the States and were infringing on its trademark. The company has a licensing agreement to manufacture Cadburys products such as the Creme Egg, for American consumers. It is important for Hershey to protect its trademark rights and to prevent consumers from being confused or misled when they see a product name or product package that is confusingly similar to a Hershey name or trade dress. So it’s not quite the end of the world, but many say that American Cadbury chocolate is drastically different to the British manufactured version–which has a higher fat content. Greg Ziegler, a food-science professor at Penn State University told the Wall Street Journal back in 2009 that small changes in the ingredients can alter taste. Vegetable fat in chocolate is banned by US government regulations, while it is a primary ingredient in the British chocolate. Instead, American bars include emulsifiers such as PGPR and soy lecithin which make it harder and last longer. The two countries also prioritise quantities of different ingredients. In the British version, the first ingredient is milk, so there’s more of it in the chocolate–whereas on the American bars’ labels, it’s sugar. Time to request a care-package from mammy. Email “Calling all Irish expats - You won't be able to get real Cadburys any longer”. Feedback on “Calling all Irish expats - You won't be able to get real Cadburys any longer”.